Many people have asked me through the years if we would make our own tracts. So after giving it some thought, we decided to do just that! They are inviting enough to hand to anyone, anytime, and any place! We think you will be pleased to give these tracts out to others, and that they will be impacted by reading them! To request tracts, click here. Need ideas for where to hand out tracts? Click here. 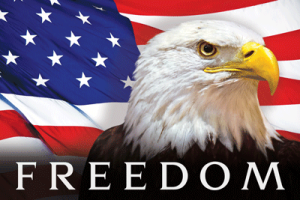 For more details about the Freedom tract or to place a request for tracts, click here. What is the best Prize you could ever win? A million dollars? A trip around the wo rld? Having your debts paid off? Or would erasing your sin debt with God be a better deal than all of the wealth on earth? (Matthew 16:26) Let’s see. Have you broken God’s Law by lying? If one murder makes someone a murderer, then one lie makes you a liar. Have you stolen, lusted after others, coveted money, or cursed God? God will not hold lawbreakers guiltless. The sentence for these crimes will be eternal death in Hell. God wants to show lawbreakers mercy, but the penalty for their crimes must be paid and their record of sin wiped clean before they can enter Heaven. That makes the cleansing of your sins more valuable than money or gold! That also makes Jesus’ payment and forgiveness of your sins literally the offer of a lifetime―an eternal lifetime! Remember, your soul is worth infinitely more to Him than all the money in the world! Run the race of life to win the eternal Prize. When you hit the finish line and take your last breath, will you have banked on good works, luck, or chance to take you to Heaven? Or will you repent and trust in the cross of Jesus Christ to settle your sin debt with God? Jesus is the Grand Prize Who gives true riches to believers—eternal life with Him in Heaven forever! 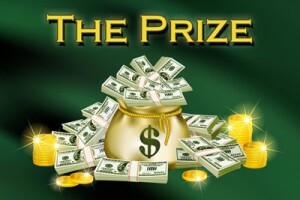 For more details about The Prize tract or to place a request for tracts, click here. 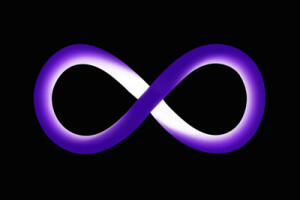 For more details about Infinity tracts or to place a request for tracts, click here. If you were given a free ticket to Paradise, would you go? Ask yourself, “Where is Paradise and what would you find there?” Beaches, palms, and surf? Mountains and snow-capped peaks? Is Paradise the unity of mankind and peace on earth? Don’t live in a “fool’s” Paradise thinking this life is all there is. God is inviting you to the “real” Paradise through faith in Jesus Christ. When you breathe your last breath and life on earth is over, will it be Paradise “lost” or Paradise “found” for you? 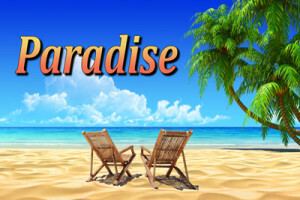 For more details about Paradise tracts or to place a request for tracts, click here. What if you won a million dollars? What if all of your dreams came true? What if you could live forever? What if you had six months to live? What if you were breathing your last breath right now? What if Heaven is real? What if you think “being good” will take you there, but you are mistaken? What if you will be judged for every wrong you’ve ever committed? What if Hell is real? What if you’ve told just one lie or stolen just one thing? What if a holy God says that liars and thieves will go to Hell? What if hating without cause is considered murder? What if you’ve excused these things as normal but they are really breaking God’s Law? What if these crimes will be brought up as charges against you? What if the penalty for these crimes is eternal death in Hell? What if someone stepped up and paid that penalty for you? What if that person is Jesus Christ? What if He died to defeat death and resurrected to genuinely offer you eternal life? What if He is willing to wipe clean your record of crimes against Him? What if this is the greatest offer in the history of the universe and you reject it? What if you accept this offer, turn from your sins, and trust Him as your only escape from paying this eternal sentence in Hell? What if this is the single most important decision of your entire life? What if today is your last day to live? 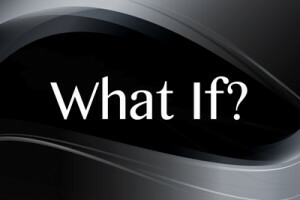 For more details about “What If?” tracts or to place a request for tracts, click here.